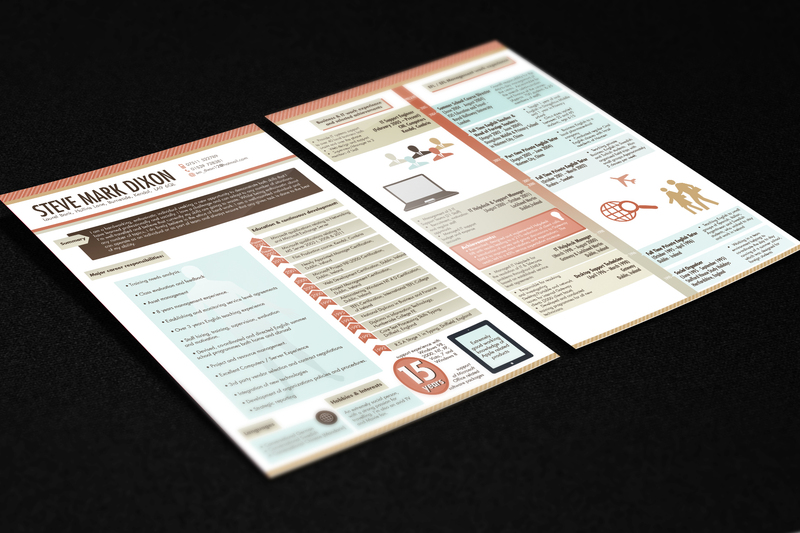 Stand out from the crowd and draw employer's attention by turning your CV into an infographic. I can make all the info easy to comprehend and put it into context, leaving you with a fresh, engaging design that will make sure you catch a recruiter's eye. I'm a trained Graphic Designer with 100% on PPH. My work has been featured on Design You Trust, Packaging of the World, The Creative Finder and Trendhunter blogs. Your CV no longer than 2 pages with normal margins. Before I start designing, I will suggested any changes in the sections outline, if needed for visual purposes. It took 2 rounds to find the right style, but KK Gupta was very professional and the end results is just really good!